Arguably the best musical ever written, this breath-taking show, which features music by Leonard Bernstein and lyrics by Stephen Sondheim, transports Shakespeare?s Romeo and Juliet to the turbulent streets of the Upper West Side in 1950?s New York as two star-crossed lovers, Tony and Maria, find themselves caught between the rival street gangs ? the ?Jets? and the ?Sharks?. 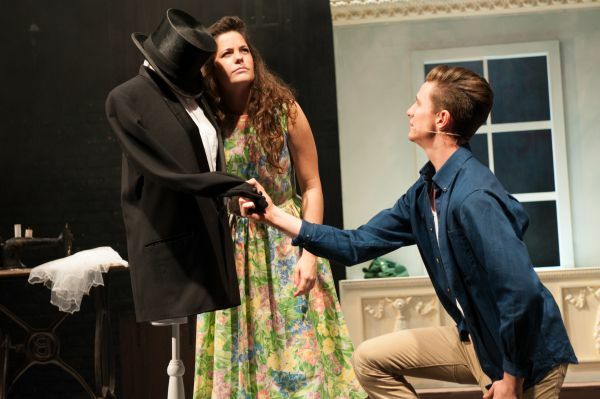 Saving the best until last we end the Garrick?s historic 100th season in true style ? West Side Story will be our biggest production ever with a huge orchestra, dynamic creative team and cast making it an unmissable event in the Garrick?s history. We know demand will be huge so we?ve added a matinee performance. BOOK WELL IN ADVANCE TO AVOID DISAPPOINTMENT. 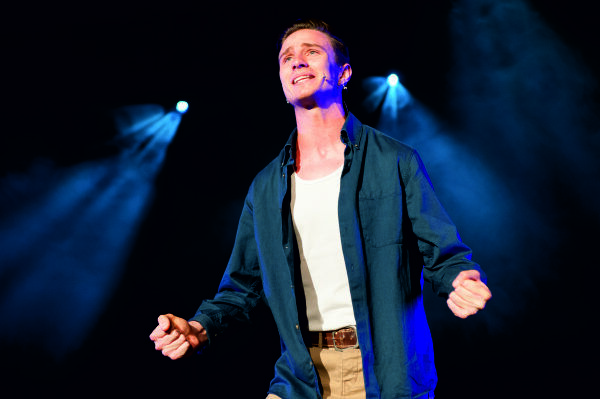 WHEN James Duffy and Emily Carter sang in West Side Story the Altrincham Garrick auditorium was full of magic. I can?t remember the last time I felt so excited by the performances of two leads and whoever decided to cast them as the young lovers Tony and Maria in West Side Story made a truly inspired choice. 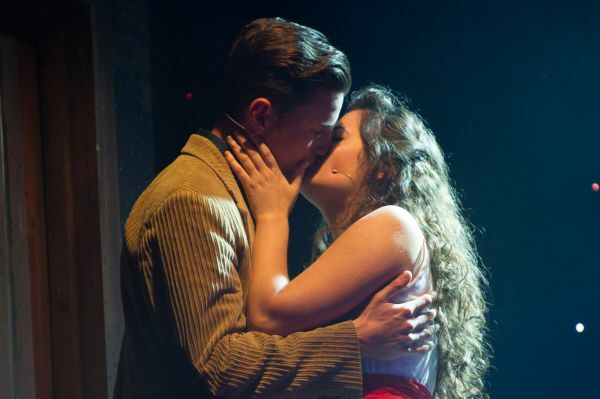 Emily in particular has a voice so pure listening to it will make you go weak at the knees and if these two don?t make a career out of musical theatre it will be a cruel travesty. It may be the Garrick?s centenary season but this is very much the company?s present to us. West Side Story may seem like it has been around forever, but the production team and a cast dripping with talent and oozing energy will make audiences feel they?re watching a world premiere. The sumptuous Bernstein/Sondheim score is as timeless as it is brilliant and it is impossible to name the best songs for the simple reason it is completely devoid of weak numbers. Inspired by Romeo and Juliet, the show sees Shakespeare?s feuding families swapped for street gangs and Craig Richardson is particularly good as Det Shrank, the hard boiled cop trying to keep the peace. Add some exciting and stylish choreography and you have a production that you simply can?t afford to miss. Go and pack the place - to the rafters. Stunning. The Garrick?s centenary season comes to an end with one of the best productions of West Side Story I?ve seen. ?The energetic young cast convey a roller coaster of emotion. It?s not just the leads, Tony, an all-American boy and Maria from Costa Rica who show feeling. ?The singers and dancers also give their all. ?We long for James Duffy?s Tony and Emily Carter?s Maria to be happy but, like Romeo and Juliet on whom the story is based, their romance reaches a tragic conclusion. I can?t praise these two enough. ?Their duet One hand, One heart gives you goose pimples and tells you that, despite their differences, their feelings are sincere flashing like lightening between them. ?James?s voice crackles with emotion as he sings Maria with such expression. ?The gang leaders, Bernardo of the Latino Sharks and Riff from the American Jets, put over with a combination of toughness and vulnerability by Danny Lawton and Josh Mosiuk face a heartbreaking fate. Yet this musical is not all doom and gloom. There are happy moments such as when Maria?s friend, Anita (Laura Chandler) sings America accompanied by the girls in the chorus. 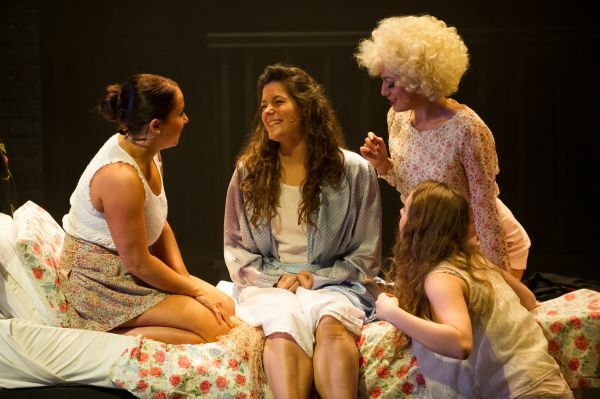 ?I Feel Pretty, the light-hearted song led by Emily?s Maria temporarily eases the tension and is lovely to listen to. ?The boys are especially good in the well-choreographed fight scenes and they, too, sing well. Although this show was premiered in 1957, gang and knife culture persists even today and racism still bubbles beneath the surface. ?It was good to see young people in the audience to whom I?m sure, the tragedy and the moral behind it, hit home. The Altrincham Garrick not only wraps up their 2013/14 season, but closes their first century with one heck of a punch! 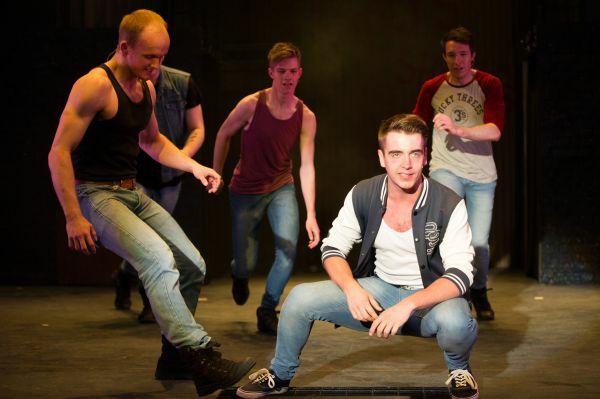 West Side Story is often labelled by industry marvels themselves as the greatest musical of our time, so what other show would mark such an occasion for this group!? Last year, I cannot have been the only one who questioned the sanity of the Garrick?s trustees when this season was announced; they certainly know how to set a challenge ? but more to the point, they know their team could deliver this wonderful curtain call to the first hundred years whilst also setting the bar for the next. This musical is just as iconic as it is demanding; much of the story unfolds through dance, beginning with the rival gangs? territory tussle during the Prologue. As one of the industries most celebrated score fills the playhouse, the soaring music is matched by gravity-defying feats of strength and agility. Adam Whittle had been given the honour to direct this milestone production, Adam relished the moody and intense moments beautifully and I wholeheartedly agree with the decisions he had made to convey this telling. The only moment which raised a baffling question to his choices was at the end of act one, the piece would have continued its strength if Riff and Bernardo had remained on stage as we progressed into the interval - staying their till the tabs came in, it may seem minor but witnessing them both get up after they had been killed broke the make believe which could so easily have been avoided. Mark Goggins and his orchestra exceeded all of my hopes and expectations, this genius score was delivered with triumph, the vocals of the soloists and ensemble cast were solid, delightful and exciting ? particularly the ?America? harmonies and the ?Tonight? Quintet. A rousing score perfectly presented. I must congratulate the sound department, this is the first time the music has sounded and felt live with the players being channelled through from the studio, I appreciate that such a set-up is not as straight forward as it may seem, however, the sound was clear and I could certainly feel the excitement one should with live musicians (which I cannot deny, I was worried for). I was delighted that the reoccurring problem had been addressed and rectified for this production which certainly enhanced the experience. I did feel slight sympathy for the three Shark men during the quintet as their lack of numbers was massively exposed against the quantity of Jets ? they didn?t seem to stand much of a chance as they prepared themselves for the rumble, up until this point I hadn?t noticed just how few of them there were as they?d been disguised very effectively until this point. 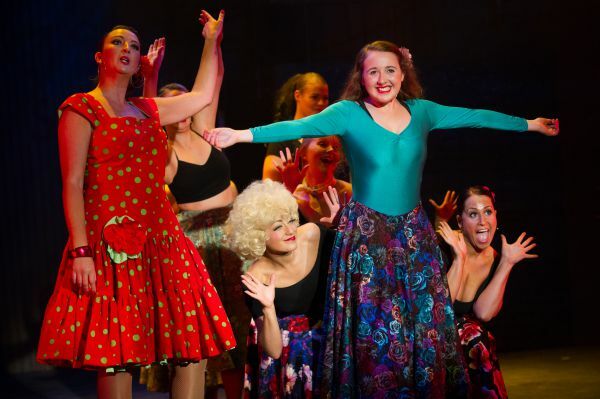 You cannot attempt West Side Story without fierce choreography, Lorna Sales had worked the cast extremely well to execute the physicality associated with this show, not only is this production a challenge, it?s made even more difficult when you have non dancers amongst the cast ? Lorna?s clever creativity demonstrated skill in accommodating the mix of abilities without making it blatant, she concentrated on telling the story through movement without over indulging on over complicated choreography for the sake of showing off which didn?t go unnoticed - a fantastic job ? exact, visual, skilful and drilled. James Duffy shone as the conflicted Romeo of the show, Tony - capturing his sensitivity perfectly and hitting the top notes effortlessly in ?Something's Coming? and ?Maria?, but harbouring enough blind passion and rage for the devastating conclusion of the first half. Emily Carter captured the heartbreak and longing of the show's plot in her portrayal as Maria - and I'll admit to chocking back a tear when she collapsed over Tony in the finale, overwhelmed by a grief that I knew was coming but still felt unprepared for. But that's not to say that this production doesn't have its lighter moments, too. One of my many highlights to this show was ?Gee Officer Krupkie? which was terrifically done and deserved the cheer and appreciation that it got. 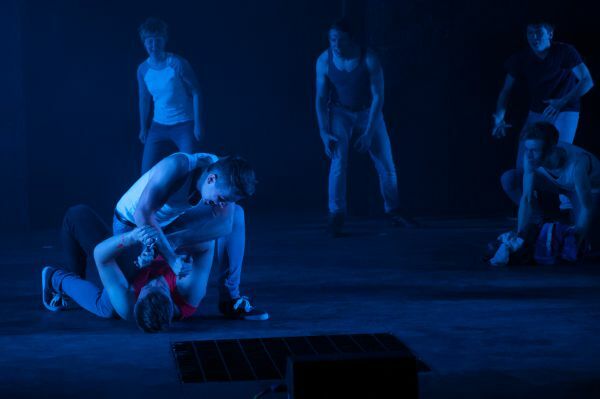 The male ensemble certainly injected the strength and power into this production, resulting in them owning the show. Josh Mosiuk as Riff was the stand out performance amongst the supporting ensemble who exposed his talents as a terrific all-rounder. It?s very enjoyable and rare to see such a strong group of young guys in this game. Laura Chandler was a wonderfully sassy and passionate Anita, the playful and celebratory ?America? contrasted with the ardent ?A Boy Like That?, both were superb ? a quality performance from Laura! Every aspect of this production was given extra attention throughout the departments which ultimately paid off to make this show one to remember and was undoubtedly the peak of the season!? Many congratulations to all for an outstanding production. 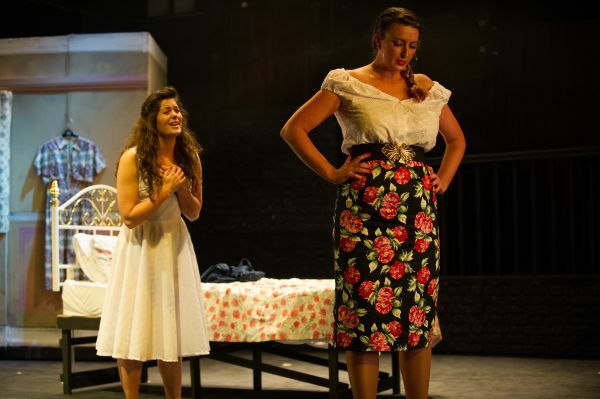 Along with the general comments of praise we often receive following a ?Garrick production, we took a telephone call from a lady wanting to book seats for West Side Story on the recommendation of a ?friend who had been to see it the previous evening. She told us that her ?friend had said they were no longer going to book city centre theatre tickets at the Palace Theatre, Opera House etc....as they didn't see any ?reason for travelling all the way into Manchester and paying inflated ? ?ticket prices to see shows when they could come to the Garrick, a local ?theatre, to view equally professionally productions. I think this is ?praise indeed for the Garrick and for all those involved with the?production of West Side Story! !